Soak tamarind in 2 cups of hot water for 30 minutes and extract pulp. In a Pressure Cooker, add ghee/oil and do the seasoning of mustard seeds, methi seeds, asafoetida and curry leaves. Saute the shallots for 2 minutes. 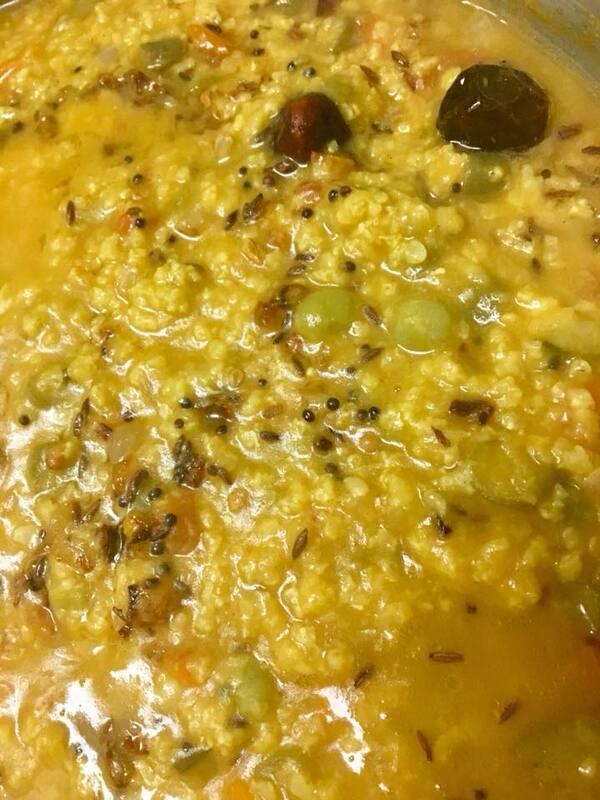 Add dal, washed millet, vegetables, bisibele masala and salt. Add tamarind extract and 2 more cups of water. Close and cook for 4 whistles. Open after pressure settles down and mix in a tbsp of ghee for extra flavour. Glad to know that the bisibelebath turned out well. Thanks for your visit. Happy to know that this recipe worked well and you enjoyed your BBB! Thanks for the validation. Hereafter don’t even think about BisiBelaBath with rice. That was so much tasty with millets compared to the rice one. 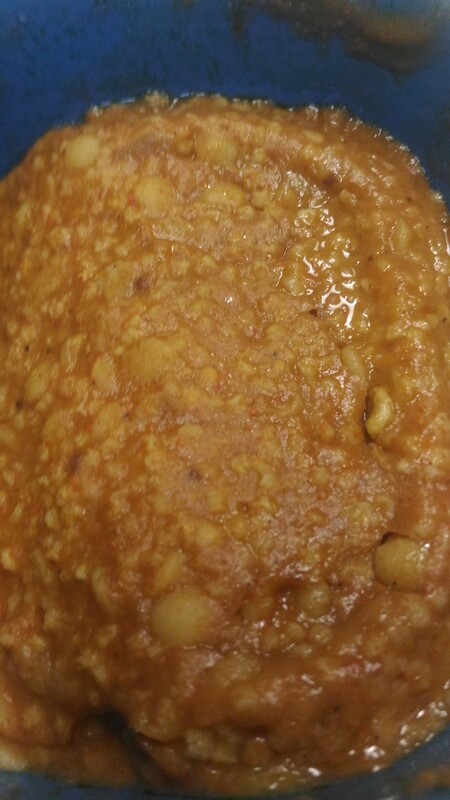 Used ProsoMillet. It was with perfect consistency. Thanks VV for converting is to use millets more in day to day life ???????? Welcome to millet world! Happy to get a validation from you. 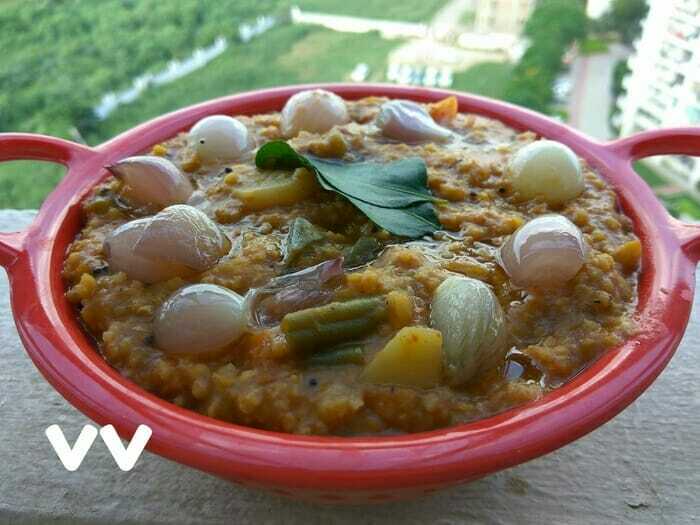 Let us enjoy our favourite dishes in a healthy way by using millets. Thanks for the validation. Please try other dishes and share your experience. BBB with millets was tasty beyond my imagination. In spite of being a very picky eater my daughter loved it. Thanks a lot VV.. Thanks for trying and validating the recipe. Happy to know that your family enjoyed the low carb BBB! Do try other recipes and share your experience. Will share a post on powders soon. Thanks so much for visiting. 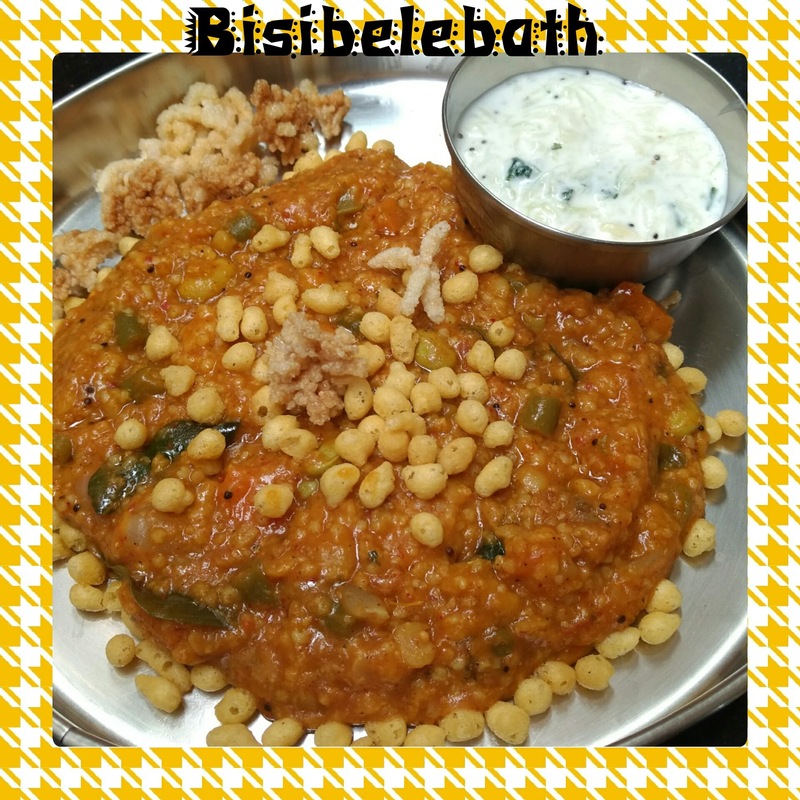 Bisibelebath prepared with any millets turns out to be delicious. Children who oppose to eat millets instead of rice can easily be fooled and pleased with a piping hot “Bisibelebath huli anna” . Yes! 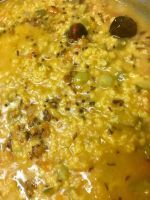 BBB prepared with any millet tastes awesome! Thanks for sharing your millet experience!Your BBB is so attractive that I want to grab that plate!